Crude oil detection with LEDdynamics's LVUV ultraviolet (UV) LED technologies is the cleanest and most efficient method of monitoring the oil spill progress by discriminating the crude oil and other aromatic hydrocarbons from sand, mud, sea life, and saltwater. Much of the crude oil and tar balls (aromatic hydrocarbons) that are contaminating our beaches are virtually undetectable with the naked eye. LEDdynamics LVUV spotlights, floodlights, and series lamp technologies enable oil spill cleanup crews and supporting scientists to easily spot washed up oil and tar balls that have been mixed with wetland mud and beach sand. 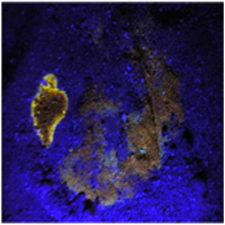 Many natural beach materials will fluoresce, or glow, under UV illumination, so it is crucial that the UV light being projected be tuned as closely as possible to the hydrocarbons present in the washed up crude oil product. LEDdynamics's UV Oil Illuminators are the most powerful portable UV sources available, and available in rack mount or hand held configuration. The LEDdynamics LVUV crude oil LED Illuminator series is designed to induce the signature fluorescence of the crude oil and its products floating on the ocean surface, in wetlands and marshes, and washing up on beaches in trace amounts. 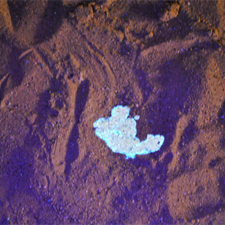 The beach products can be detected and monitored over time by "fluorescing" the area at each low tide. Regular monitoring enables status reports to be written and filed for public awareness based on facts, not guesses. While tar can be an obvious visual indication of coastline contamination, it is likely that vast areas of beach and wetland coastlines are being contaminated - without any visual indications. The LEDdynamics LVUV series illuminators provide real-time contamination detection enabling cleanup crews and scientists to monitor the effectiveness of cleanup efforts and make immediate decisions regarding cleanup strategies and methods, eliminating the delay associated with sampling and laboratory analysis. Recently we have developed a high power Low Voltage UV (LVUV) spotlight that can be hand held or outfitted to any vehicle, land or sea, to scan above ground or on the water surface for contaminants. 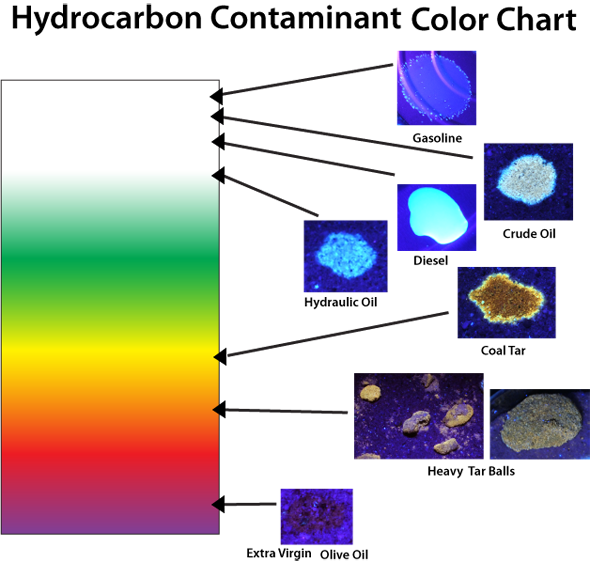 In conjuction with the LVUV Oil Fluorescing Spotlights we have developed software that through a proprietary filtering process can analyze and accurately determine the quantity of hydrocarbons contaminents within the image. With LEDdynamics's LVUV Spotlights, scientists and cleanup crews are able to spot washed up oil and tar that has been mixed with mud and sand. Much of the oil and tar that is contaminating our beaches cannot be seen, even when right in front of you in full sunlight! 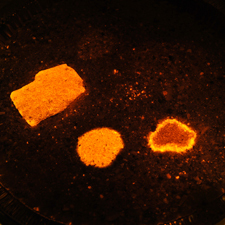 Deposited tar balls, often partially covered by sand, glow bright orange and yellow under the powerful LEDdynamics LVUV series spotlights. Crude oil and other heavy petroleum hydrocarbon detection products can also be detected with LVUV illuminators (see chart).